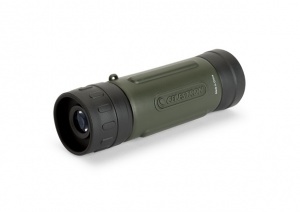 The perfect grab-and-go optic, the Celestron Elements 10x25 Monocular is a super-compact optics perfect for hikes, backpacking trips and outdoor excursions. Completely rubber armoured, it will withstand hard use on the trail. 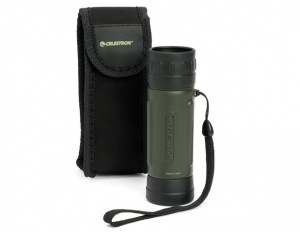 The monocular is even water resistant for use in harsh weather conditions. Using the monocular is easy, even for beginners, thanks to the thumb indents and finger ridges that provide a non-slip grip. The Elements 10x25 Monocular offers bright views of subjects. All-glass, multi-coated optics allow more light to pass through the optical path for sharp views and increased contrast. With 10x magnification, they’ll give you detailed views of distant subjects, perfect for observing wildlife from a safe distance.